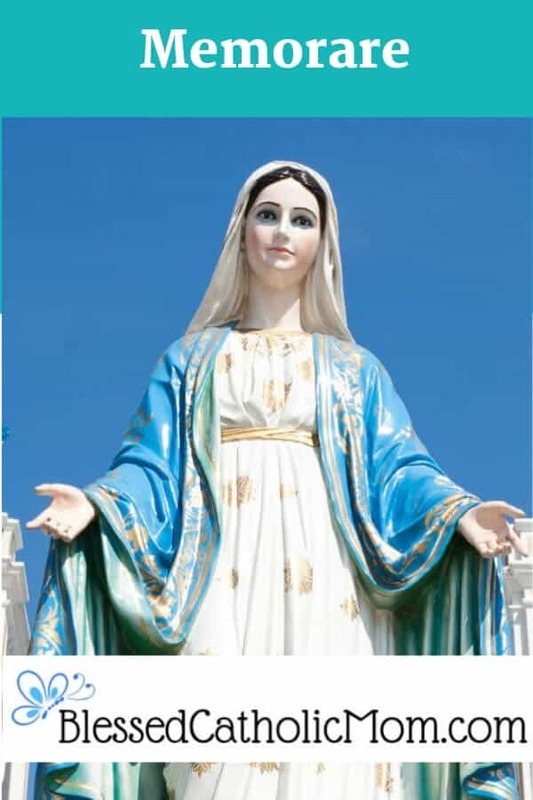 Memorare - We ask teh Blessed Virgin Mary, Our Mother, to pray for us. The Memorare is a wonderful prayer in which we acknowledge Mary’s role in our Church and beg her to pray for us. The origin of this prayer is credited to St. Bernard of Clairvaux (in the 12th century) and it was promoted heavily by Fr. Claude Bernard (in the 17th century), who attributed his healing from an illness to the recitation of the prayer.